**Adrift by K.R. Griffiths. Price: Free. Genre: Suspense Thriller, British, Vampires. Rated: 4.2 stars on 362 Reviews. 390 pages. ASIN: B00Q0DGF7I. The Storyteller of Inis Mor, a Free Kindle Suspense Thriller, $1 Deal of the Day! Posted on June 28, 2016 Author KibetCategories 1$ Suspense Thriller Kindle Books, Free Suspense Thriller Kindle BooksTags Free Kinde Suspense ThrillersLeave a comment on The Storyteller of Inis Mor, a Free Kindle Suspense Thriller, $1 Deal of the Day! 4 fantastic Free Kindle Suspense Thrillers, NY times Bestselling Author, Free Books to Review! *Debt of Fear by Michael Reid Jr. Price: Free. Genre: Suspense Thriller, Literature & Fiction. Rated: 4.6 stars on 10 Reviews. 282 pages. ASIN: B01C9X3QEM. *The Sisterhood: Book One (The Sisterhood Trilogy 1) by Nichol Bradford. Price: Free. Genre: Suspense Thriller, Literature & Fiction, Adventure. Rated: 4.7 stars on 26 Reviews. 438 pages. ASIN: B006IMLCRE. 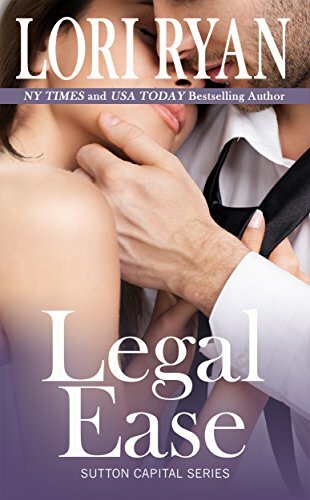 ***Legal Ease (The Sutton Capital Series Book 1) by Lori Ryan. Price: Free. Genre: Suspense, Sponsor, NY Times Bestselling Author, Suspense Thriller. Rated: 4.4 stars on 423 Reviews. 313 pages. ASIN: B00CEZ8YIY. NY Times Bestselling Author Lori Ryan. Conjesero: The Supernatural Serial Killer by Carl Alves. Genre: Thrillers, Serial Killers, Paranormal, Supernatural. Rated: 4 stars on 2 Reviews. 224 pages. ASIN: B01AYV604Y. Posted on June 25, 2016 Author KibetCategories Free Suspense Thriller Kindle BooksTags Free Kinde Suspense ThrillersLeave a comment on 4 fantastic Free Kindle Suspense Thrillers, NY times Bestselling Author, Free Books to Review! Kindle Suspense Thriller Deals for Saturday! ***Legal Ease (The Sutton Capital Series Book 1) by Lori Ryan. Price: Free. Genre: Romantic Suspense of the Day, Sponsor, NY Times Bestselling Author, Suspense Thriller, Women’s Fiction. Rated: 4.4 stars on 423 Reviews. 313 pages. ASIN: B00CEZ8YIY. NY Times Bestselling Author Lori Ryan. Posted on June 25, 2016 Author KibetCategories Free Suspense Thriller Kindle Books, Suspense Thriller DealLeave a comment on Kindle Suspense Thriller Deals for Saturday! Excellent Free Kindle Suspense Thriller, Free Books to Review! Conjesero: The Supernatural Serial Killer by Carl Alves. Genre: Suspense Thriller, Thrillers, Serial Killers, Paranormal, Supernatural. Rated: 4 stars on 2 Reviews. 224 pages. ASIN: B01AYV604Y. Conjesero (pdf) by Carl Alves. Genre: Suspense Thriller, Supernatural Thrillers, Serial Killers, Paranormal. Rated: 4 stars on 2 Reviews. 224 pages. ASIN: B01AYV604Y. Posted on June 24, 2016 Author KibetCategories Free Suspense Thriller Kindle BooksTags Free Kinde Suspense ThrillersLeave a comment on Excellent Free Kindle Suspense Thriller, Free Books to Review! *Torrent (Cy Reed Adventure) (Deal, Not Free) by David Meyer. Price: $0.99. Genre: Pulp Thriller Deal of the Day, Sponsor, Men’s Adventure, Suspense Thriller, Action & Adventure. Rated: 4 stars on 47 Reviews. 317 pages. ASIN: B00IR3H5I2. Pork by RS Anthony. Price: Free. Genre: Psychological Thrillers, Literature & Fiction, Suspense Thriller. Rated: 4.2 stars on 9 Reviews. 270 pages. ASIN: B01DO8LMYC. A Family Affair by Tim Yingling. Price: Free. Genre: Suspense Thriller, Military. Rated: 4.8 stars on 5 Reviews. 238 pages. ASIN: B0114X5EPW. Chase Baker and the Vikings’ Secret (A Chase Baker Thriller Series Book 5) by Benjamin Sobieck, Vincent Zandri. Price: Free. Genre: Suspense Thriller, Literature & Fiction. Rated: 4.8 stars on 4 Reviews. 120 pages. ASIN: B015EMKYEU. 6 Excellent Kindle Suspense Thriller Books! 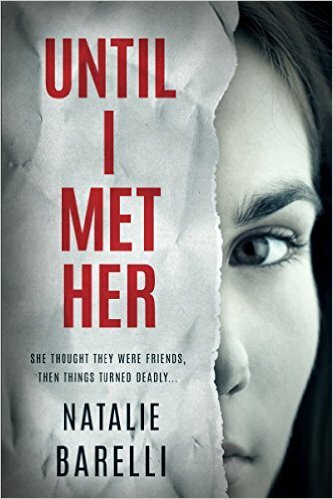 *Until I Met Her (Deal, Not Free) by Natalie Barelli. Price: $0.99. Genre: Mystery Deal of the Day, Sponsor, Psychological Thriller, Crime, Series, Psychological, Women Sleuths, Suspense. Rated: 5 stars on 3 Reviews. 272 pages. ASIN: B01FBTW19C. *Lies Come True (The Avery Hart Trilogy Book 1) by Emerald O’Brien. Price: Free. Genre: Suspense, Women Sleuths. Rated: 4.7 stars on 15 Reviews. 292 pages. ASIN: B00V6WA3M6. Uncontrolled Spin: The Power and Danger of Spin (“Un”missable Series Book 1) by Jerry Summers, Sydney Radcliffe. Price: Free. Genre: Suspense Thriller, Murder, Serial Killers, Vigilante Justice, Crime. Rated: 4.2 stars on 47 Reviews. 229 pages. ASIN: B01FT3P02K. IN THE SHADOW OF STRANGERS: A wealthy man is about to change her destiny …but it’s a secret. by Wendy Reakes. Price: Free. Genre: Suspense, Murder, Literature & Fiction, Thriller. Rated: 4.6 stars on 7 Reviews. 331 pages. ASIN: B00MLBC14Y. ISBN: 1511444088. Leaving the Bones Behind by Gary Watson. Price: Free. Genre: Psychological Thrillers, Psychological, Alzheimer’s Disease, Thriller & Suspense, Literary. Rated: 4 stars on 4 Reviews. 316 pages. ASIN: B0131PRXHS. *The Methuselah Man (Repeat) by Will Dresser. Price: Free. Genre: Suspense Thriller, Literature & Fiction, Thrillers. Rated: 4.7 stars on 30 Reviews. 341 pages. ASIN: B007PRKCO0. Posted on June 17, 2016 June 17, 2016 Author KibetCategories 1$ Suspense Thriller Kindle Books, Free Suspense Thriller Kindle Books, Suspense Thriller DealLeave a comment on 6 Excellent Kindle Suspense Thriller Books! Gridlocked Guesthouse (Locked House Hauntings Book 1) by Mixi J Applebottom. Price: Free. Genre: Suspense Thriller, Ghosts & Haunted Houses, Murder, Serial Killers, Paranormal. Rated: 4.8 stars on 4 Reviews. 170 pages. ASIN: B01GQSN376.